Home » Apps » Tone Deaf Test app for iPhone and iPad – Test your musical ears! 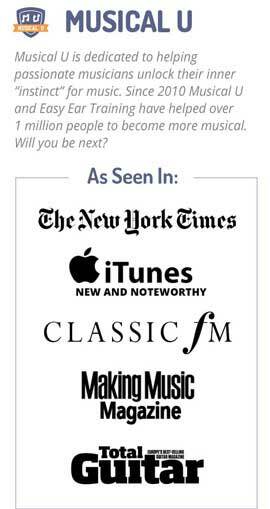 Tone Deaf Test app for iPhone and iPad – Test your musical ears! Ever worried that you might be TONE DEAF? This app will tell you for sure – in just a few minutes! You just don’t seem to hear the detail in music that other people do…? Am I just not a “musical” person? The Tone Deaf Test app is designed by music education company Easy Ear Training to help you find out for certain whether you are in fact tone deaf – in just a few minutes! Detailed information about what “tone deafness” truly is – and what it isn’t! Tips, tricks and guidance for learning to sing reliably in tune. Easy sharing so you can tell your friends that you are not tone deaf – and you’ve proved it. Or felt terrible when someone tells you that you “can’t sing”, are “out of tune” or are simply “tone deaf” – don’t wait any longer. Because if you aren’t tone deaf… Well then the whole world of music is waiting for you! Download the free Tone Deaf Test app now and find out once and for all. 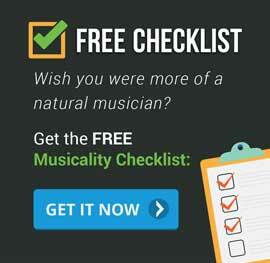 Must have app for anyone interested in learning music! After working on the fight line for years and experiencing some know hearing loss….this apps really helped me understand the loss was not tone deaf. Thank you! This is a really good app. It has some listening exercises to test one’s ability to distinguish pitch changes (or unison). I’m not tone deaf! I just can’t sing! I’m so excited! I’ve been told for years I was tone deaf and I’m not. I’m just out of tune and that’s so much easier to correct! Yay! I knew I wasn’t tone deaf but I felt like I need ear training. When I read about this suggestion to take this tone deaf test I was surprised how come I’ve never seen or heard about a test like this. I took the test. I’m not tone deaf I scored %97 (I was impatient though and didn’t even listen to the end of a note) so I was surprised by how simple the test was. Yet it is obvious that there’s just nothing that would give more accurate results than this test. Great job! I got 100%. Finally some proof that I’m not tune deaf! This app Ia really good especially as it is so easy to download and then just do The test I however got a really good score and I hope you do to!! Thanks for proving I CAN hear even if I can’t sing! great test.”,This is an app worth your time. Achei muito boa a ideia ! Mesmo eu que não tenho deficiência usaria ! Meus parabéns! Awesome app. Will end a good many debates and undo criticism of potential singers. I think this is a decent test for deciphering the difference in octaves and tones. Simple but well designed and informative app! A basic and easy to use test. No complaints! Easy to understand and take. Recommended. Great app for it’s intended purpose. I play bass guitar and keyboard by ear. So i knew i was not tone deaf.. It was accurate! Nice and short. Good to know at 72 I’m still not tone deaf. This is great for testing beginners So many adults claim to be tone deaf. This would definitely assure them. The test was fun! Believing negative comments in our formative years has wasted time and crushed dreams. But it never too late to learn to sing. This was really fun. I enjoyed the different stages of the test and I was extremely surprised I got them ALL right. Great app! Gave me a good feeling to know that I was in tune…so to speak. Thanks. I always thought i was tone deaf because my roomate told me that my pitch was wrong often. But she was wrong! I got 100percent correct. This app gave back my self confidence . Easy interface without a lot of UI candy. Focus is on what it is meant to do and it does it well. I always thought I was tone deaf but I’m not! I never thought if I were tone deaf or not. It’s great that there’s an app for this! Really unique and inventive! Ensure myself not a deaf ton ! Nicely done app with clear instructions and nice UI. The quiz was fun and informative. Great work. Curious to see if I was tone deaf and this app showed that I’m not. It’s a useful application… Thanks! This app’s pretty cool. It gave me good results. I highly recommend it! This is a good app. I like it. I had always questioned how tone deaf I was but know I for sure! Really quick and easy way to re-assure yourself & your friends they are not tone deaf. Now there’s no excuse for not learning to sing in tune! This is great to do with friends. If someone says they’re tone deaf this test will answer conclusively! Click here to download ToneDeafTest from the App Store.